When the question is about sports, a good playground plays a significant role for a better game. With an extensive use of artificial grass all over the world, the demand for artificial grass has been increased in India too. Being low on maintenance, it is becoming the best option for sports grounds. It offers a high- quality pitch with a feeling of natural grass and as it is eco-friendly and does not require any chemical for its maintenance, it is high time to consider this advanced option for sports. Additionally, the sports that place similar demands on a surface can be combined in a single artificial grass field. That is, it can be used for Multisports. For example, hockey and football can be played on the same ground. Natural grass gets affected by bad conditions so in climates where there is a frequent seasonal changes, the surface can be adversely affected. Indeed, it demands for the high cost of maintenance in order to render it useful on a regular basis. Synthetic grass offers a perfect pitch condition and stable playing characteristics. The pitch looks always green with no fertilizing, sowing and mowing. It saves a lot of time, money and efforts. 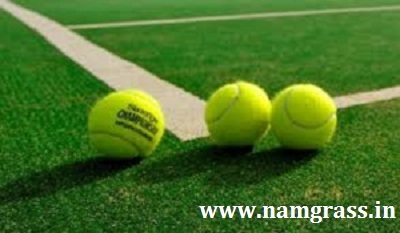 Moreover, it fulfills the demand of playing a range of sports on the same pitch. Natural grass does not stand up for this kind of use and restrict the sports grounds to offer a wider range of games and offers more revenue. Synthetic grass is the most suitable option in India because of frequent climate changes and its multi usability with low maintenance. Weather proof: A synthetic grass surface can be used in all the seasons, no restriction on usage as it can fit in any climate condition. Low Maintenance: It is high in quality with lower maintenance as it does not get affected by climate changes. Natural grass has its own issues which bothers sports club owners when it comes to maintenance. Low Risk – Gives a feeling of a natural grass, but reduces all the risk of sudden climate change and high on durability. Also, it can be used for Multisports grass which demands low investment. Long Lasting: It can sustain heat and heavy usage and does not become yellow or patchy. A high quality synthetic grass surface ensures a long life span of 10 -15 years approximately. It is a good time for us to consider that artificial grass is a worthy alternative to natural grass. The advantages of the synthetic grass are numerous and considerably more viable over the natural grass. It actually allows you to enjoy games and spending less time in maintaining it. With different climatic condition, why not switch to artificial grass over a natural grass!